Nice to meet you here, at this about page and for the first words, I want to sent to all of you my best respectful greetings. Hunting is an interesting sport and is the hobby of many people around the world and to become a good hunter, there are a lot of things you have to learn and know about such as how to choose the suitable equipments and find the advices of training and buying stuff, this is where you can find all of them. I know that your passion and your love with hunting lead you here and because it is clearly that we have at least one point in common, I want to share with you all the stuff I know in this field for all of us can continue this hobby and enjoy its joy together. You know that hunting is all about the experiences because there are a lot of things can not be said by words but you have to experience them by yourself to know about the rules and how to apply them in the next time. 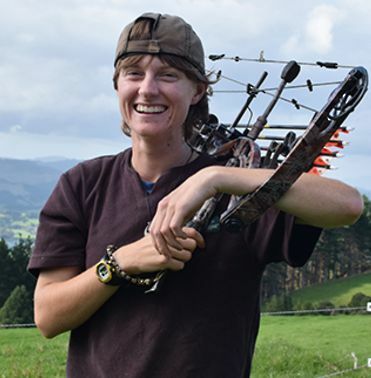 In this site – archerytopic.com, you can find all information you are or will looking for the all the information you need to figure out what you need. Here, you can find the knowledge about hunting and hunting equipments. You all know that there are a lot of different hunting style and kind of objects, and each of them has different methods to work with and help you to have a successful hunting trip. Well, we also can not forget about the most essential stuff in hunting is the gun but hunting with archery is more interesting and this is the reasone why on this site, all we want to share with you are about the archery. Choosing the right type of hunting is the determinant factor to have a good trip. So that, you definitely able to find the articles and sharing posts on this site. Hope that you will enjoy them.